Apple is onto its next big legal feud: Qualcomm. The company today filed a $1 billion lawsuit against giant the chipmaker, according to CNBC. 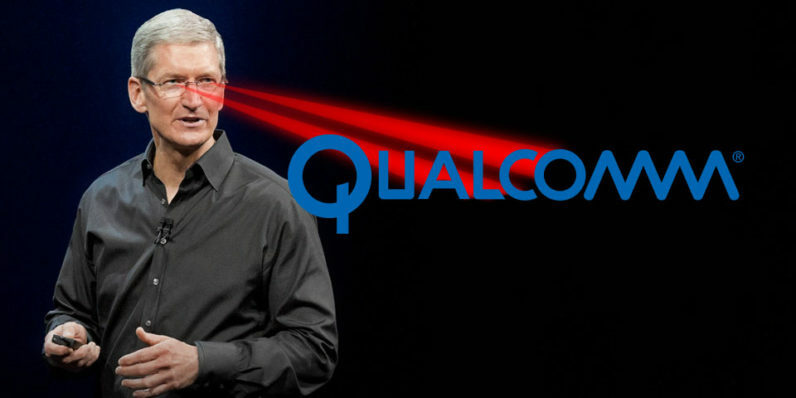 The lawsuit claims that Qualcomm withheld payments from Apple for licensing some of its patented technology in exchange for using its wireless modems. The Apple suit comes right after a similar one by the Federal Trade Commission claiming Qualcomm was using monopoly tactics. Though Qualcomm is best known for its Snapdragon chips that dominate the Android market, the suit mainly deals with Qualcomm’s wireless modems and intellectual property. According to The Verge, The FTC suit suggests Qualcomm was forcing companies into using its modems by charging them a higher licensing fee for their patents if they went with a competitor’s product. That, in effect, makes competitor products more expensive than they are. Apple then alleges Qualcomm withheld nearly $1 billion in payments to retaliate against Apple responding to law enforcement agencies that were investigating it. The company was recently fined $853 million in South Korea, which is likely the investigation Apple is referring to.